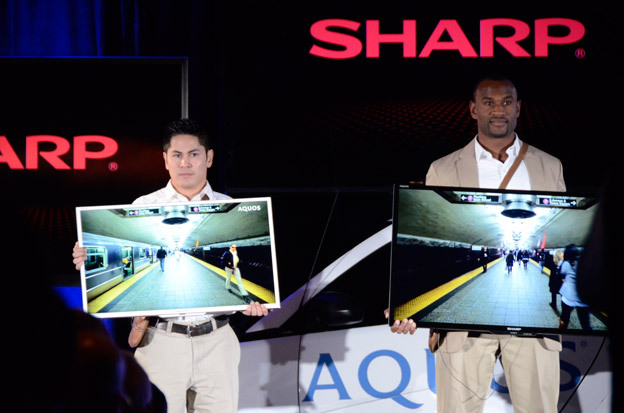 Normally when we look portable TVs, they are with tiny screens and bulky plastic – but, not so in the case of Sharp Freestyle Aquos TV line. All three televisions can display full 1080p video via a wireless base station, but the smallest – and in this case, the most interesting – can run even without a power cable. The 20-inch HDTV includes a built-in battery. 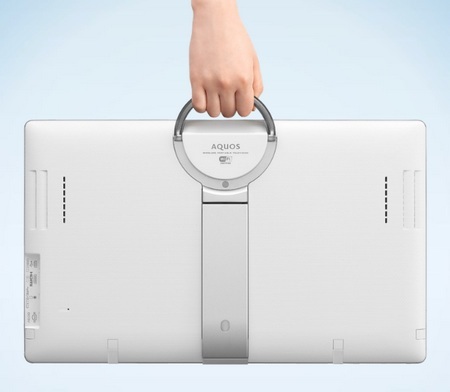 It’s a simple concept that Sharp has paired with features that make it truly useful. A carrying handle and kickstand make it easy to move and set up, and support from Sharp’s remote hardware make it easy enough to get content to the screen from close range. The base station connects to the television via its own private WiFi connection, and can handle video from standard HDMI or RGB inputs. The larger 32-inch, 42-inch and 60-inch models retain the low weight, handles and kickstands that make the smaller Freestyle so handy, but don’t have batteries and require the standard AC connection. It isn’t an ideal solution, since the battery is only rated for two hours – but that should be enough to find a power outlet. Posted on March 3, 2012, in Gadgets_ TV and tagged gadgets, HDTV, Sharp Freestyle Aquos TV, TV. Bookmark the permalink. Leave a comment.